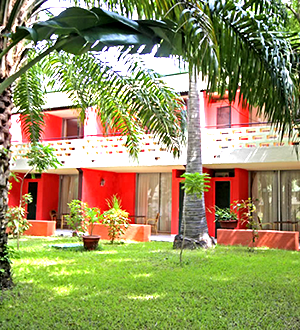 Senegambia Beach Hotel, Serrekunda, is a popular hotel and holiday resort in The Gambia. 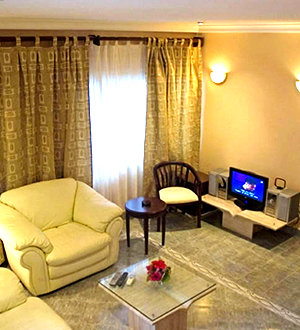 It is perfectly located for a relaxing beach vacation. 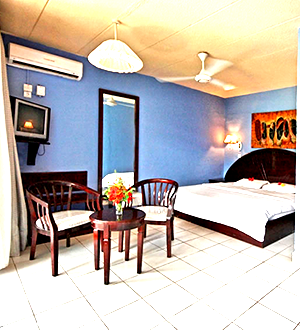 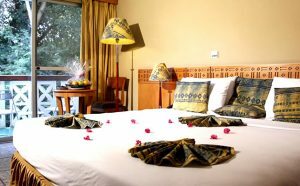 Offering over 350 spacious rooms, Senegambia Beach Hotel is a lively, family-friendly beach resort situated in twenty acres of tropical gardens beside a sandy beach in the busy resort of Kololi. 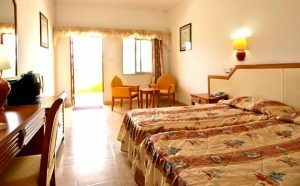 With a perfect location for leisure seekers, the hotel is a great choice for anyone wanting to get out and sample the many different bars and restaurants on the hotel’s doorstep. 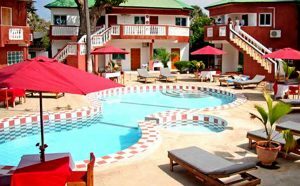 During winter, the beach hotel offers a variety of activities aimed at adults, teenagers and children – making it one of the most popular destinations in The Gambia. 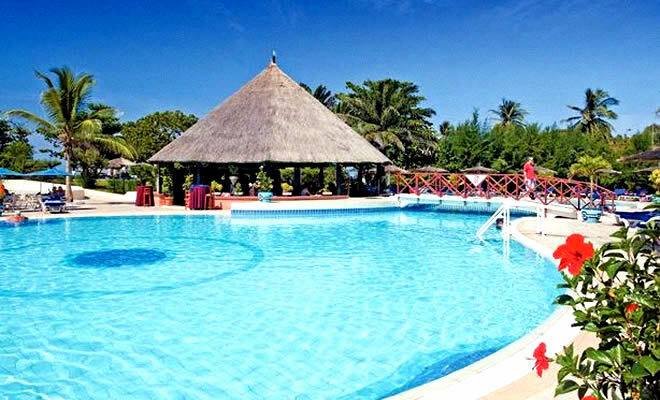 The famous Senegambia gardens attract an amazing array of birdlife and the hotel’s resident ornithologist is on hand to provide tours within the grounds; the beautiful gardens may also be used for private evening functions, weddings and occasional live concerts. 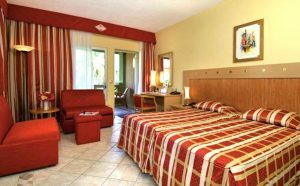 Facilities at the hotel include an impressive beachside pool and bar which is the focus of much of the daytime activity including water polo, volleyball, tennis and organised games. 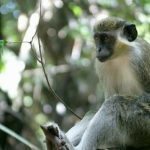 It’s located just a few minutes drive from the International Airport in Banjul and some minutes walk to the famous Bijilo Forest Park, Serrekunda, The Gambia.